Hair & Nails Best Friend? Biotin! There are supplements for every inch of your body, but biotin is specific to hair and nails. Biotin is a water-soluble B-complex vitamin (vitamin B7). The signs and symptoms of biotin deficiency include hair loss which progresses in severity to include loss of eyelashes and eyebrows in severely deficient subjects, as well as nails that break, chip, or flake easily. 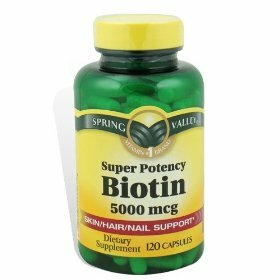 Biotin supplements are available in most pharmacies. The recommended dose is about 5000mcg to 7500mcg per day. Thicker and stronger hair and healthier nails may be seen within several months, depending on rate of growth. Some shampoos are available that contain biotin, but it is doubtful whether they would have any useful effect, as biotin is not absorbed well through the skin. Add a biotin supplement to your diet and see the difference it makes to your overall beauty, inside and out.